Deliver this delightful and yummy 16 pcs Ferrero Rocher Chocolate Pack to your near and dear ones with Rakhi and Roli Tilak Chawal. 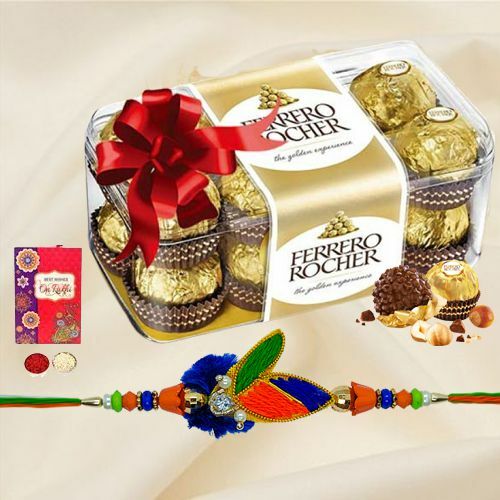 4 pcs Ferrero Rocher Chocolate Pack (60 gms) with 2 Rakhis and Roli Tilak Chawal. 24 pcs Ferrero Rocher Chocolate Pack with 2 Rakhis and Roli Tilak Chawal.